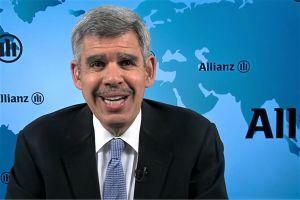 Mohamed El-Erian. Source: a video screenshot. Mohamed El-Erian, chief economic advisor at Allianz, an insurance giant, and a widely respected figure in the space, said that crypto is not dead in spite of the current crash exceeding the dot-com crash of 2000. 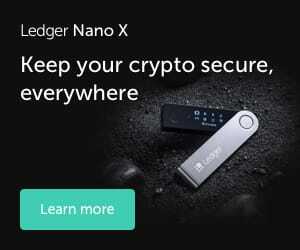 “We’re going to see more widespread adoption, by both the private and public sector, of the blockchain technology and related technologies,” he told Yahoo Finance. Not everyone agrees with his sentiment. Neil Wilson, chief analyst at online CFD (contract for difference) and forex broker Markets.com, was quoted by Bloomberg as saying that, “it just shows what a massive, speculative bubble the whole crypto thing was […]” referring to the crash of 2018. Still, people who have been invested in bitcoin and cryptocurrencies over a longer period of time dismiss negative comparisons to the dot-com era by pointing to the Nasdaq Composite’s recovery to fresh highs 15 years later, and to the internet’s enormous impact on society. They also note that Bitcoin has rebounded from past crashes of similar magnitude. Moreover, Vice President of the European Commission, former Latvian Prime Minister Valdis Dombrovskis, said recently that “crypto-assets are here to stay,” while encouraging cooperation between the European Commission and the European Financial Stability Board (EFSB) or the G20 on crypto regulation. In either case, only 13% of financial leaders at more than 2,000 companies in more than 20 of the largest US metropolitan areas think that cryptocurrency will not become common for business transactions in the next five years, a recent survey showed. 87% respondents chose answers ranging from "Not very common" to "Very common", according to the survey. Also, the blockchain technology is currently placed at the “trough of disillusionment” on the Hype Cycle for Emerging Technologies by Gartner Inc., an American research and advisory company. Additionally, according to the company, blockchain will reach the plateau of productivity - the end stage of mass adoption - in five to ten years. "We need confident investors who have long term conviction and a market sufficiently robust and diversified to endure lapses of conviction or faith. Until then, any sort of movement in the market will inevitably move price - and therefore, limit liquidity," she sain in an interview.